My younger brothers and sisters had no clue what going “gluten free” meant, and neither did my father – but little did they know, they were getting a delicious taste of what it meant to eat gluten-free when I came home for a weekend visit. I like to think of it as a gluten-free sneak attack – and it’s fairly simple to pull off as long as your dinner entree is savory with a zesty kick. Am I a gluten-free eater? No. Have I considered going gluten-free? Yes. From research, I learned that going gluten free may help those with thyroid disorders, celiac disease or sensitive stomachs. However rather than cutting out gluten-filled foods, I learned that I can still reap the benefits simply by limiting my gluten intake and making easy substitutions. This lemon chicken, red bean and quinoa recipe is one of those substitutions. I knew my pasta-loving family would enjoy. Cook quinoa according to box directions. To prepare chicken – Pat the chicken with cumin, mint, paprika, sea salt and pepper. Add about 2 tbsp of olive oil to skillet and add chicken. 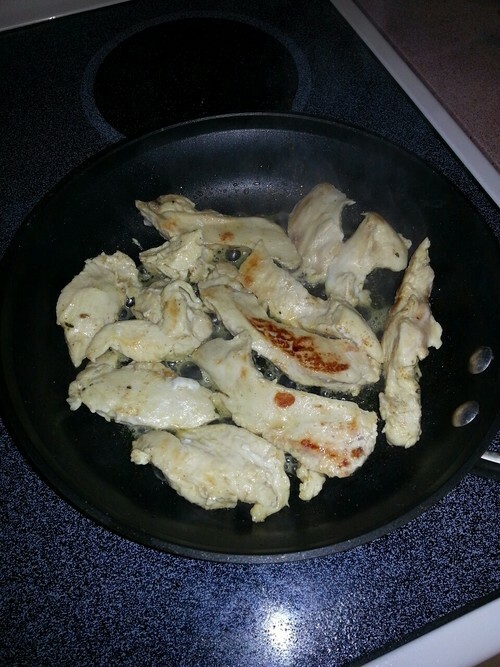 Squeeze lemon over chicken and cook over medium heat (about 5 min each side). Set aside when chicken is cooked completely. 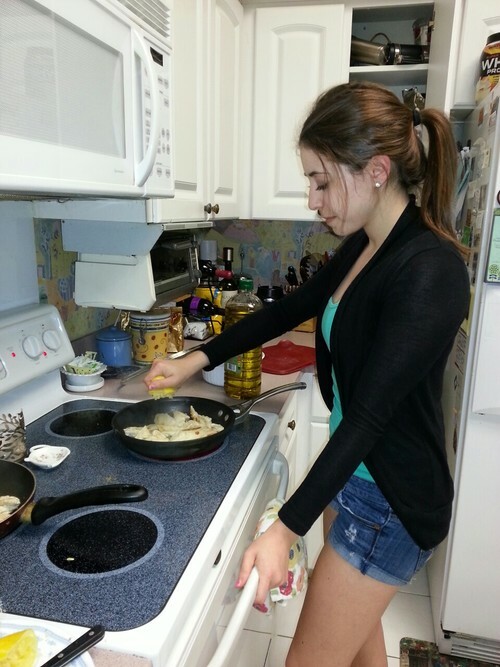 Remove chicken from pan and add more olive oil. Cook the red onion with the garlic until it has a nice brown color. 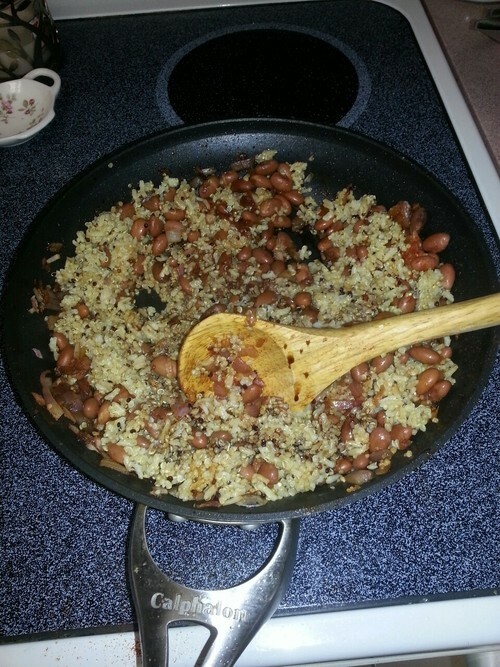 Add the pinto beans and quinoa into the mixture when ready. When you have a colorful mixture, add a teaspoon of balsamic vinegar to add some extra flavor. Pair mixture with chicken and dinner is served! I tend to eyeball ingredients when I cook, but if you have any questions on how this was prepared feel free to ask and I’ll give you some tips. I hope you and your family enjoy this delicious gluten-free recipe.